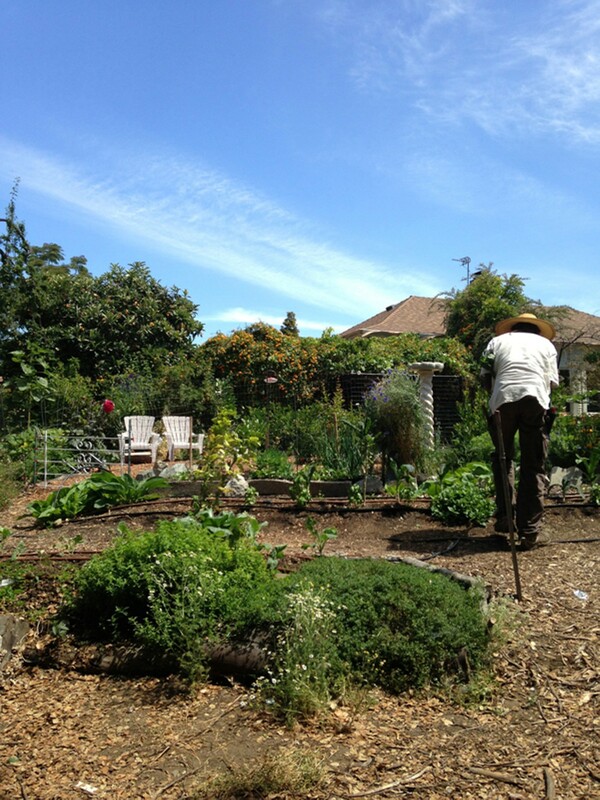 A secret garden at the end of a cul-de-sac in North Oakland feels worlds away from the Town. The Secret Garden is a working farm in addition to an urban oasis. Urban farms dot the East Bay, providing local communities with access to fresh produce and the opportunity to get their hands dirty. But perhaps none are as lovely as City Slicker Farms' Secret Garden. Tucked at the end of a cul-de-sac on a quiet street in North Oakland, the Secret Garden is wild, lush, and verdant. And, as its name implies, it is hidden to passersby. Despite its close proximity to BART and Interstate 980, the Secret Garden is remarkably serene. Because it's bordered on all sides by flowering yards, it feels secluded and rural — as if you've been transported miles away from the Town. 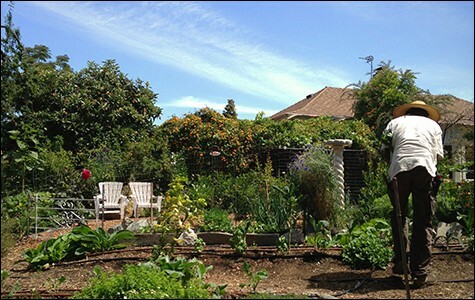 Located right above the underground Temescal Creek and on a plot that receives sunlight throughout the day, the Secret Garden features soil that's incredibly fertile. City Slicker Farms has been cultivating the land since 2007, and the numerous fruit and nut trees that dot the northern and eastern sides of the farm are now productive. During the summer months, large red and yellow sunflowers bloom in one corner of the farm. Purple and yellow beans climb nearly eight feet tall on trellises that dip and bend under their heavy weight. There are nearly a dozen beds growing familiar and unfamiliar produce, including chard, Dinosaur kale, New Zealand spinach, carrots, radishes, lettuces, tomatoes, tomatillos, and squash, as well as herbs like chamomile. Occasionally, the two cats from next door will wander over and sun themselves on the hammock. It's idyllic, charming, and for fans of farm life, pretty close to paradise. But make no mistake — the Secret Garden is also a working urban farm. There's a massive compost pile that needs to be turned regularly. Plants such as kale and chard have to be inspected for aphids and other insects weekly. Meanwhile, there's the opportunity to learn about the ebb and flow of the seasons. Vegetables and fruit are picked every week to be sold at City Slicker Farms' weekly markets; afterward, new seedlings are planted. Musician Hannah Lew sounds off on her new album, a changing city, and $4 toast. Oakland city staffers have been telling residents that they need to pay a $3,000 fee to grow vegetables on blighted lots — but that turns out to be untrue.